I totally love this thing. 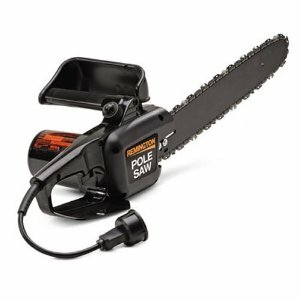 It’s an electric chain saw that can be used on its own, and it also has an extension pole. The pole extends about 12 feet. I usually use it to cut tree limbs that are getting too close to the house. Although I also use just the pole for all sorts of random situations that call for an extended reach (like getting the kids’ toys out of the trees!). 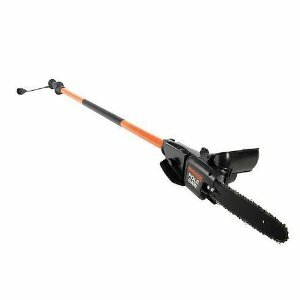 I definitely recommend it – it’s not the most heavy duty chain saw, so don’t get it if you’re planning to cut down major trees. It’s good for a limb with about a 10-inch diameter. This entry was posted on September 5, 2012 by Tim's Finds in Tools & Hardware.